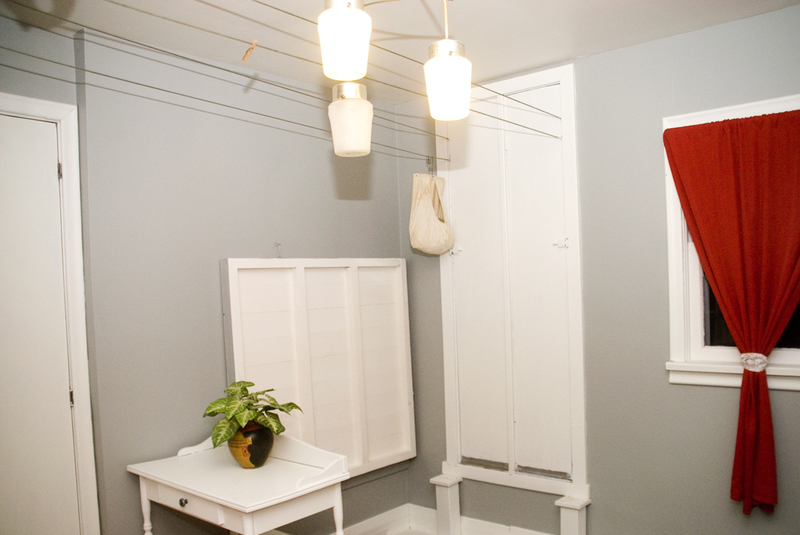 When you enter our home, you come into a mud room. It is sort of an awkward room, there are stairs leading to the basement and a railing around the stairs where the platform comes down to hang laundry. Every time I bent over to put on my shoes, I was afraid to loose my balance and tumble down the stairs. We need a bench, a coat rack and some storage for our hats, gloves, garden gloves, etc. There wasn’t a lot of room for anything, so we had to get creative. This project cost us nothing. It was all used with leftover project materials we had around the house. The top storage is a shelf that we turned on its side and hung with brackets. 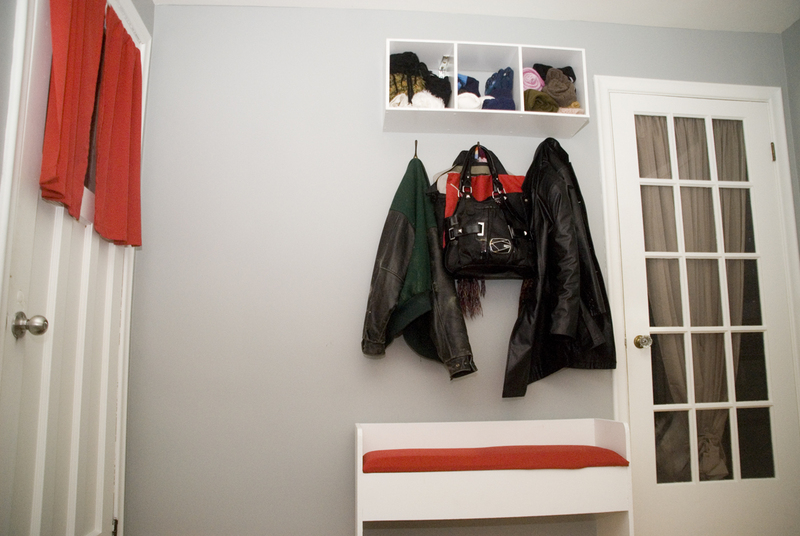 It was a great place to store our hats, mittens and scarves over the winter months. Now that the summer is upon us, I think I will put small plants up there. Having this set up in our mudroom has kept it clean and well organized. I can actually find my scarf or that hat I have been searching for! Creating storage doesn’t need to cost hundreds or thousands of dollars. Just look around your house and get creative. Remember, a little paint can go a long way in making an old piece of furniture pretty!